Iveco’s Daily and EcoDaily are the latest versions of the company’s stalwart panel van. Since 1978 it’s been producing and maintaining the Daily, and has sold more than two million units. With an incredible reliability record and servicing/repair infrastructure borrowed from the truck industry, this monster van is all things to a lot of people. However, thanks to the size you’re not going to see a lot of florists driving them. 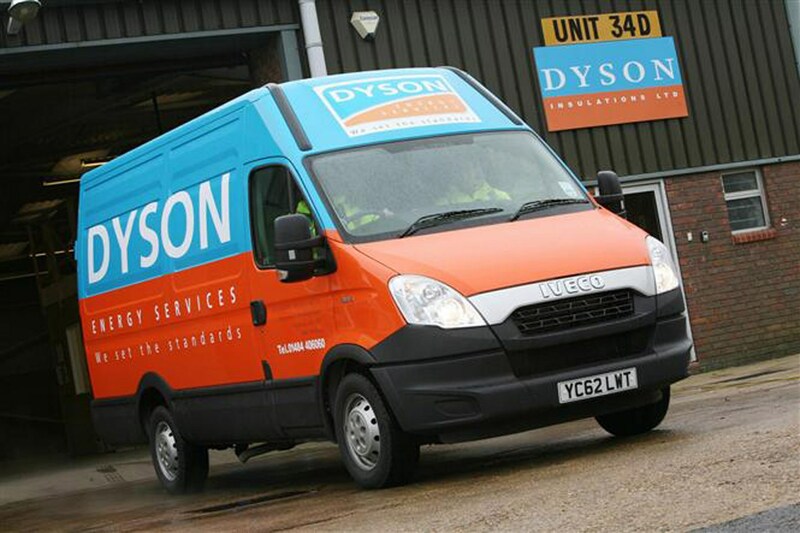 This van is aimed at those fleets that travel up and down the UK motorway network. Available in configurations ranging from 3.5 tonne to 7.0 tonnes, there’s a huge amount of flexibility when choosing the configuration. Ten engine choices are available, and an automatic sequential gearbox can be fitted as an option too. The 2010 update centres around the addition of green technology, with the EcoDaily engines conforming to Euro 5 emissions standards, while natural gas or electric power is available for the first time. There are now 10 engines available in the Daily range. A 2.3-litre diesel is available in five versions with power ranging from 96hp to 136hp, torque from 240Nm to 320Nm. There’s a 3.0-litre diesel with four power outputs, from 146hp to 170hp and 350Nm or 400Nm respectively. There’s also a 3.0-litre natural gas version with 136hp (plus 82hp petrol engine) and 350Nm. We found the 3.0-litre diesel performed very well, with masses of pulling power and quite a large power band. The 3.0-litre engine can be ordered as an EcoDaily, with either 140hp or 170hp and it conforms to Euro 5 emissions standards. This is also true of the natural gas/petrol version. The standard Daily uses either a five- or six- speed manual gearbox, with the option of an Agile six-speed transmission that can be operated in either auto or manual sequential modes. The Daily is a very accessible vehicle, it’s easy to manoeuvre and it's just as easy to cover vast amounts of motorways miles. The Daily is also available with a full electric drive train with a range – depending on the batteries ordered – of up to 80 miles. 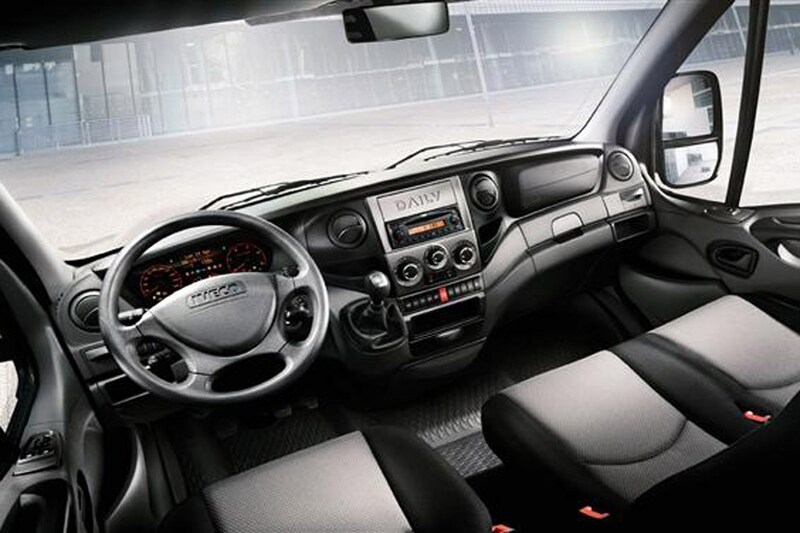 The new Daily retains the stylish dash designed by famous Italian designer Giorgetto Guigiaro. It’s functional and hard-wearing while retaining its stylish appearance. The driver’s seat is air-sprung, which is very comfortable and excellent for long-distance driving. The seat is also adjustable in every axis, meaning that although the large steering wheel can’t be adjusted you can always find a decent driving position. A radio/CD player comes as standard, and you can specify USB and Fiat’s Bluetooth connectivity system with steering wheel controls too. In crewcab configuration you get seven good-sized seats with headrests. 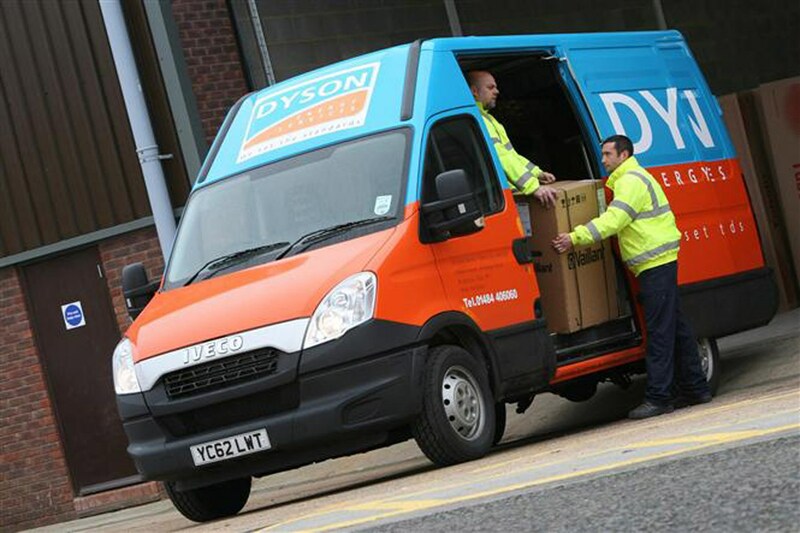 It isn’t the cheapest van you can buy, but given the size of the Daily it’s good value for money. You get a three year unlimited-mileage warranty, and service intervals are every 25,000 miles. Iveco has 96 service points in the UK to get your van checked over, and all are open 24/7. You also get ‘assistance non-stop’, this relays a driver through to a call centre who dispatch an engineer to come out and fix the vehicle wherever it has broken down. Iveco has built over two million Daily vans, and began back in 1978. If you’ve ever stopped to count how many are on the roads you’ll start to understand how the company has managed to forge such a formidable reliability record. The most important change for the 2010 Daily is the addition of a standard driver’s airbag. All models get ESP and ABS, as well as hill-hold (which stops the vehicle rolling backwards when pulling away on an incline). The Daily also gets LAC – or load adaptive control – which adapts ESP and ABS systems to cope with different load configurations. A tyre repair kit is also standard on the 3.5 tonne derivative, including an air compressor and sealing agent for fixing punctures on the run. Which IVECO Daily (09-12) is best for me?